The Rapid Response Network is committed to pushing back and taking action against misinformation, smears, and attacks when it comes to Israel, the two-state solution, and diplomacy in the Middle East. or text FPI to 69866. Have you gotten a mysterious phone call with a "debate" between President Obama and Prime Minister Netanyahu arguing over the Iranian nuclear situation? Well, if you have, it is 100% fabricated. Tablet Magazine calls the robocalls "everything that’s wrong with the American discourse on Israel." 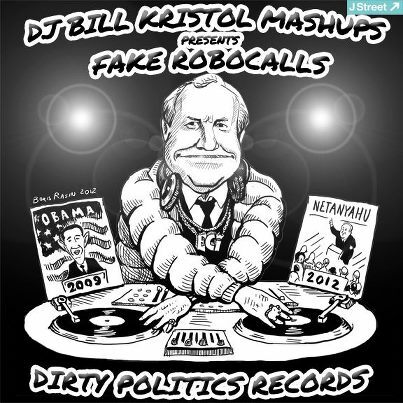 Talking Points Memo says Bill Kristol has taken the dial past 11 with the lying. POLITICO reports that the Atlantic's Jeffrey Goldberg calls the robocalls "pernicious and idiotic." Even the Washington Post's fact-checker Glenn Kessler weighed in, saying "there is no excuse for such an Orwellian descent into falsehoods and misrepresentation." Don't let your friends and family be fooled by Bill Kristol and the Emergency Committee for Israel -- make sure to forward this to them! Have you heard a smear we should respond to? Received one of those flagrantly false email forwards from your uncle Ira? Let us know by emailing smears@jstreet.org.